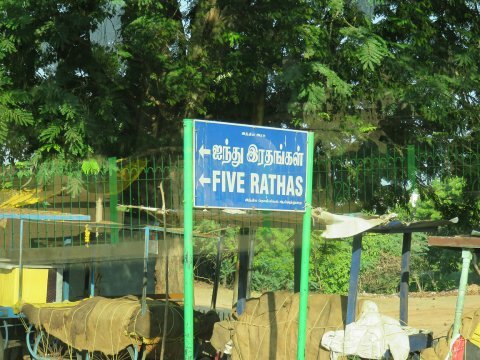 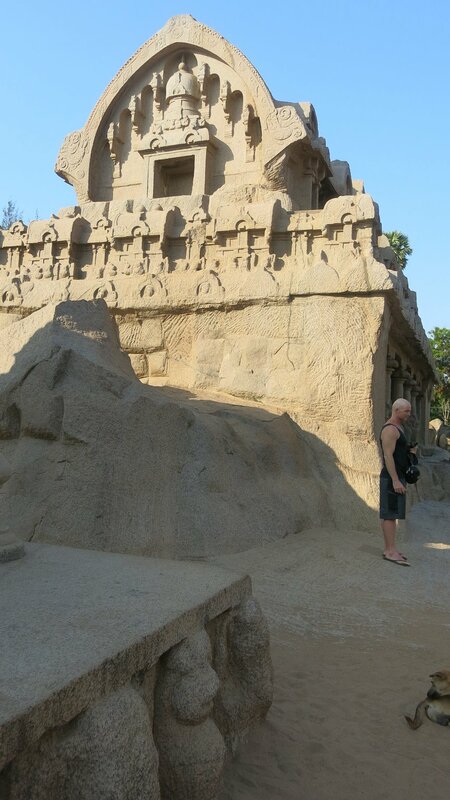 Next, we were bussed a short way to Five Rathas (Five Brothers) or Pancha Rathas is a monument complex at Mahabalipuram, on the Coromandel Coast of the Bay of Bengal. 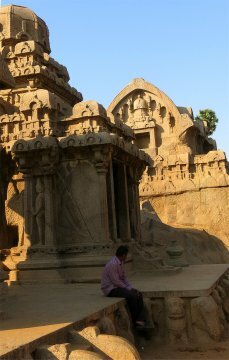 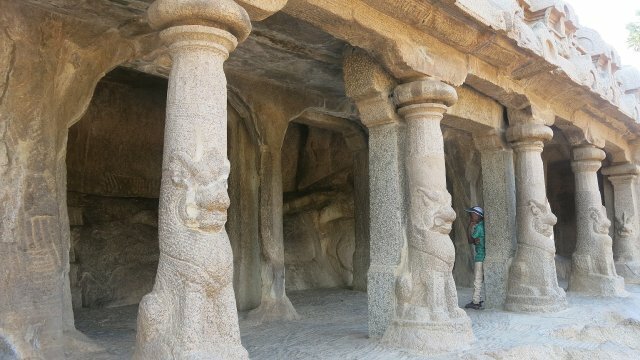 It is an example of monolithic Indian rock-cut architecture. Dating from the late 7th century, it is attributed to the reign of King Mahendravarman I and his son Narasimhavarman I ("great warrior"). 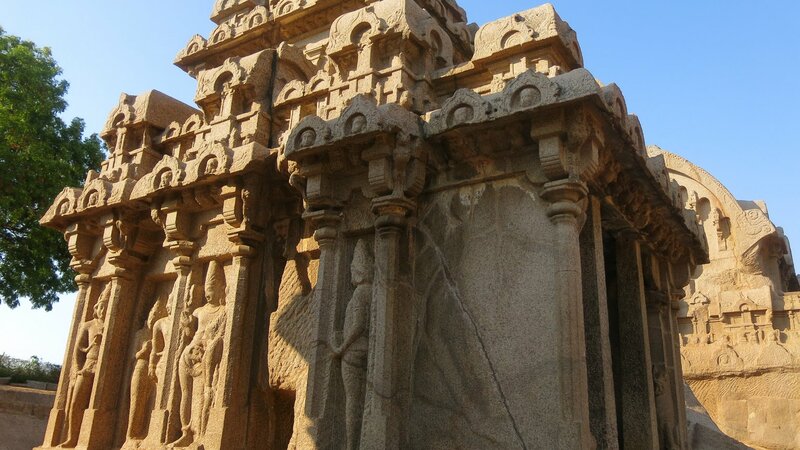 An innovation of Narasimhavarman, the structures are without any precedent in Indian architecture. 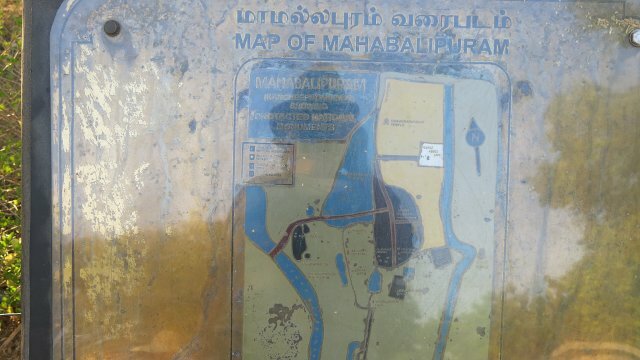 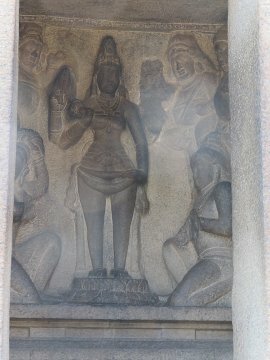 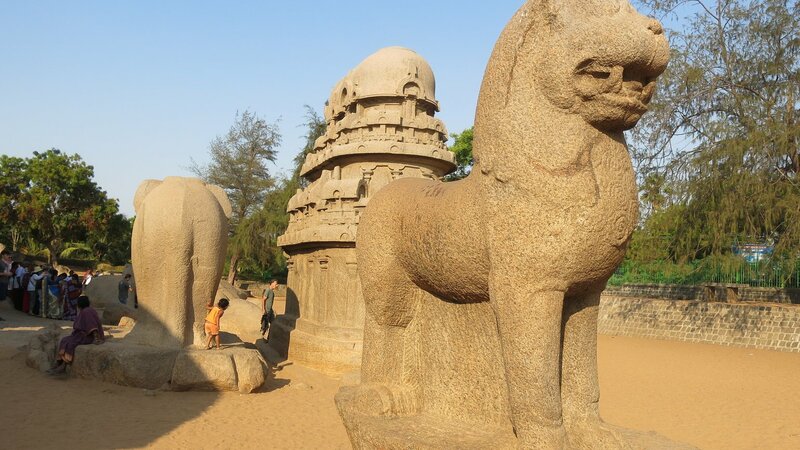 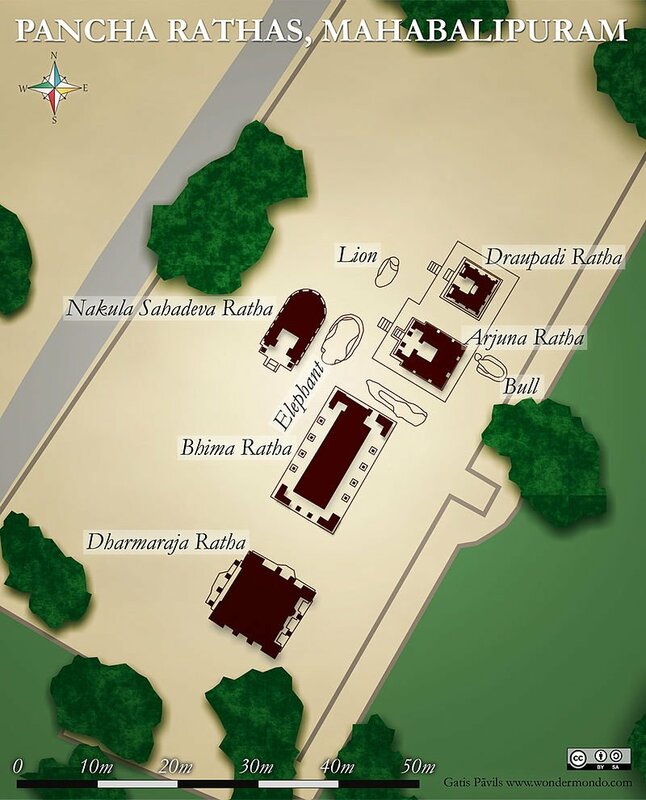 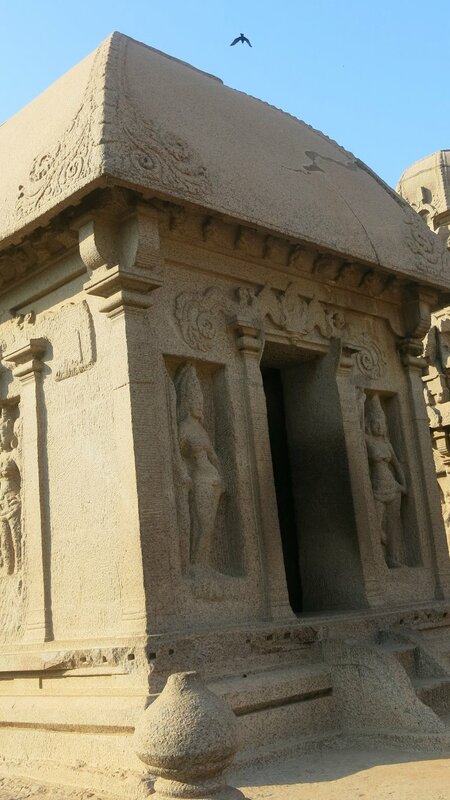 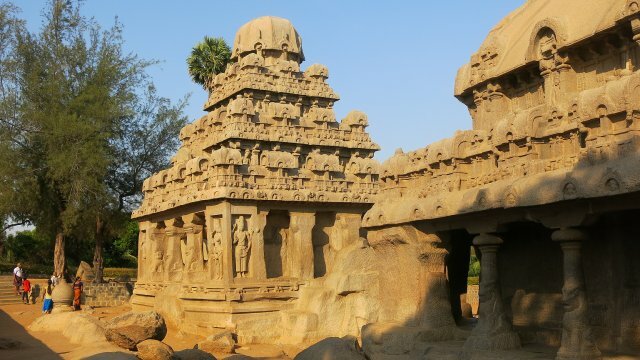 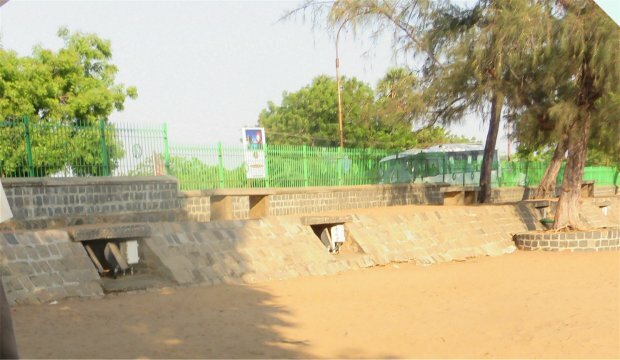 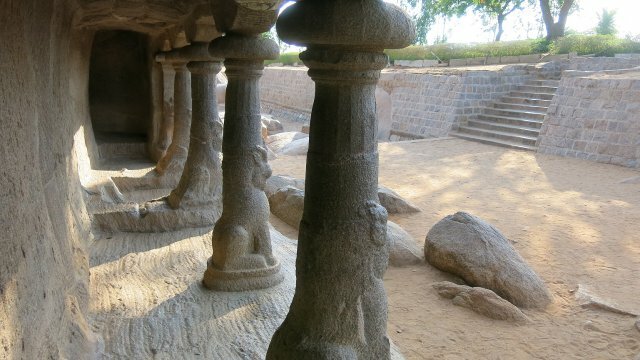 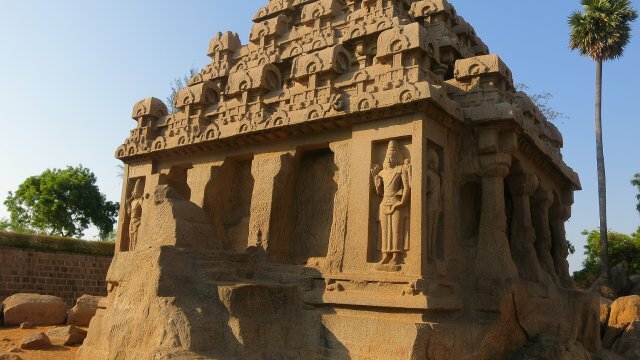 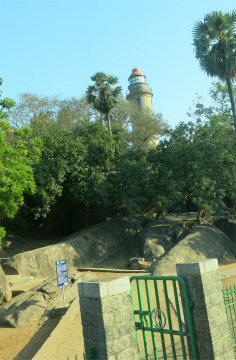 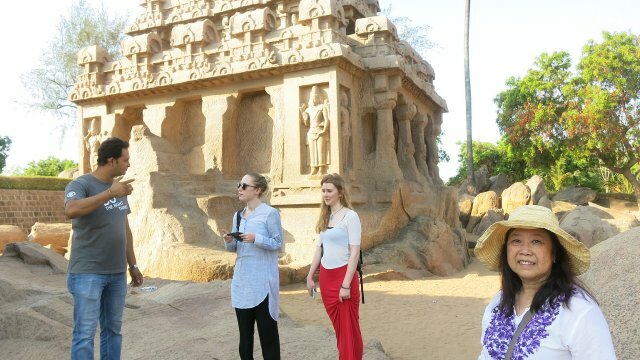 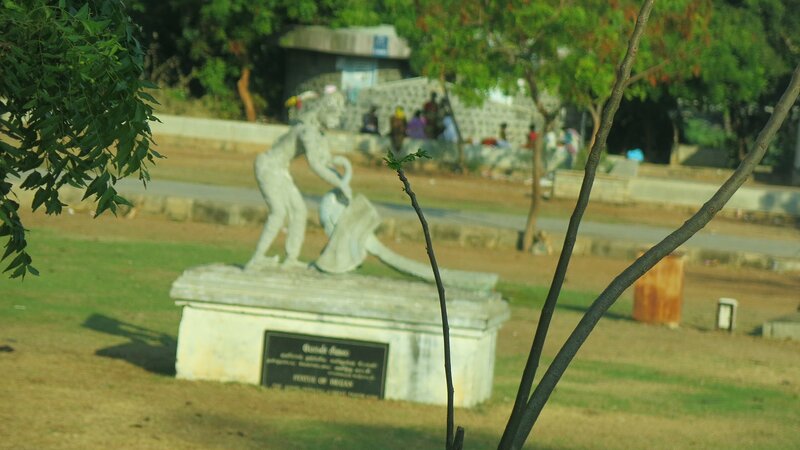 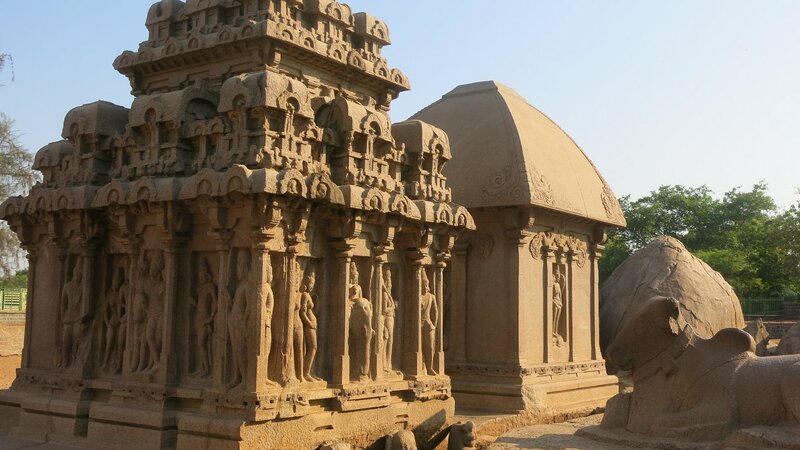 The complex is under the auspices of the Archaeological Survey of India (ASI) and is part of the UNESCO World Heritage site inscribed by UNESCO asL Group of Monuments at Mahabalipuram. 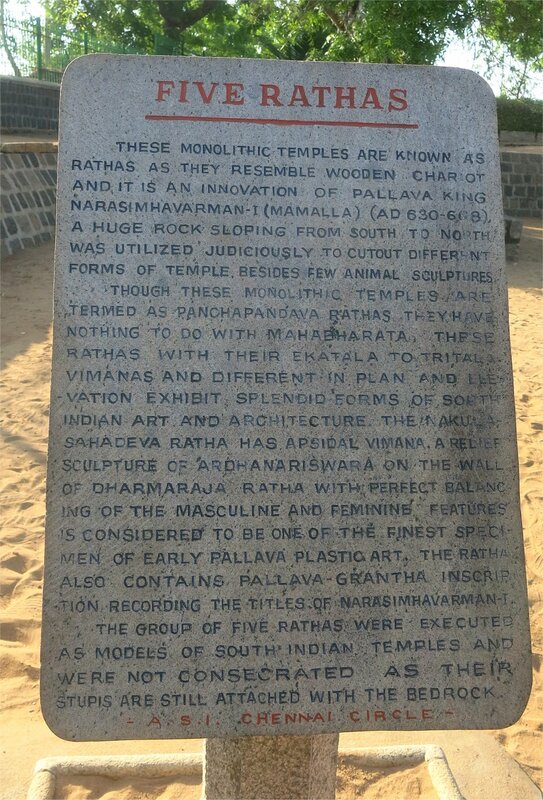 Each of the five monuments in the Pancha Rathas complex resembles a chariot (ratha), and each is carved over a single, long stone or monolith of granite. 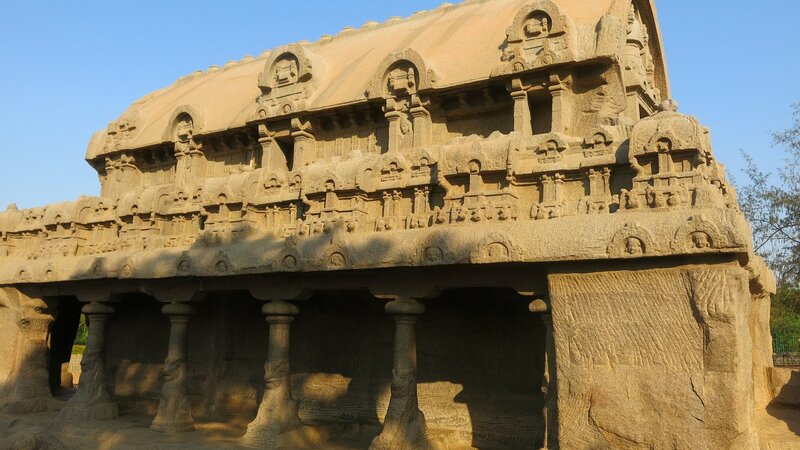 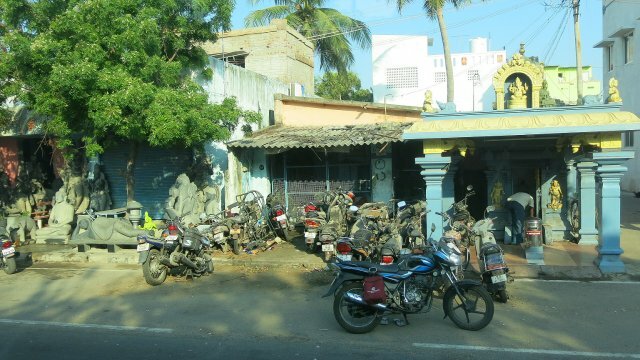 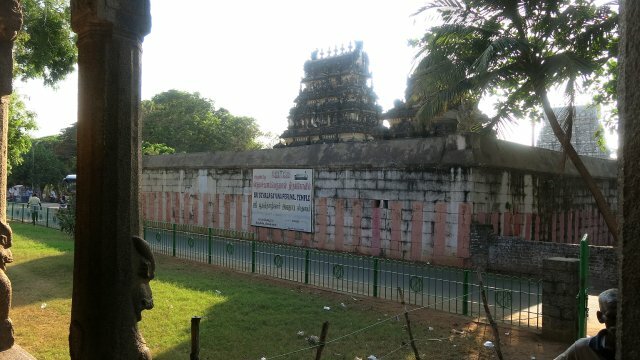 Though sometimes mistakenly referred to as temples, the structures were never consecrated because they were never completed following the death of Narasimhavarman I.
Architecturally, these structures were representations of Chinese and Hindu mythology. 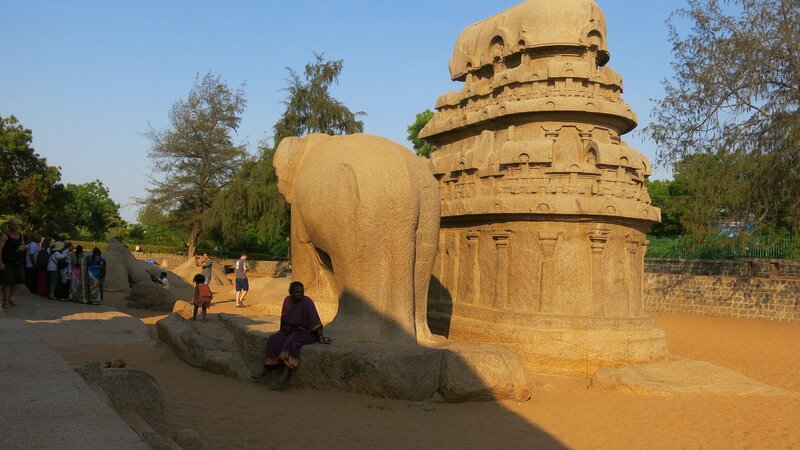 Sue-On at last had the opportunity to go through her morning Tai Chi ritual in a secluded spot behind the giant stone elephant and a pile of giant boulders. 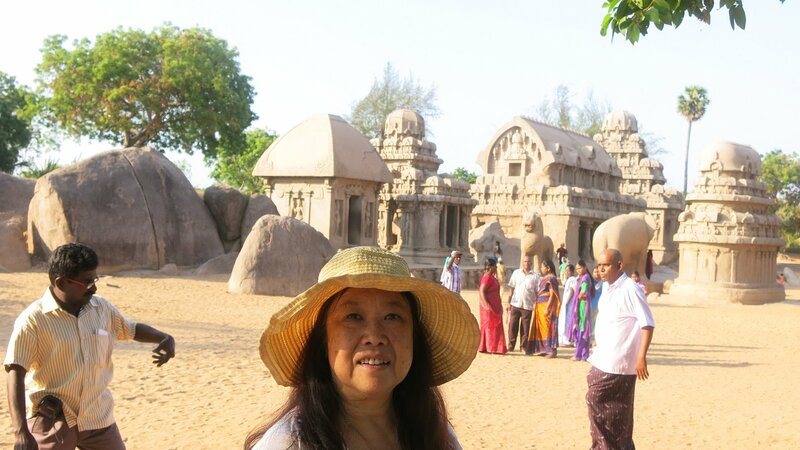 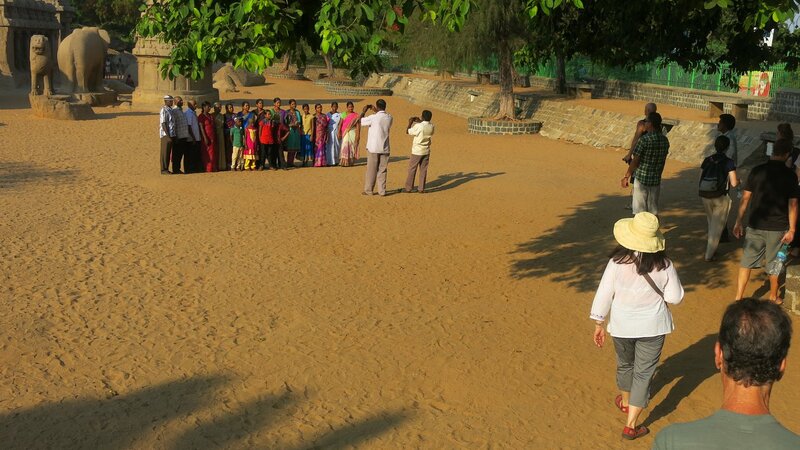 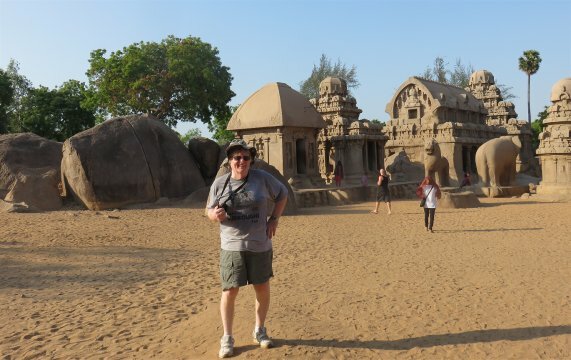 Then it was time to move on to the shore of the Bay of Bengal to explore the Shore Temple.